You can buy unique bedding that can't be found in big box retail stores. Knowing where to buy means you can luck up on some fun, cool bedding designs. The Drop features Night Shift Goods bedding, such as duvet and comforter sets, blankets and pillows. The Drop features street swag, streetwear fashion and bedding fashion. Night Shift Goods is a Los Angeles based company and their bedding collections include Not So Basic, The Hustle Collection and Hot Right Now. Duvet or comforter set: Each set includes one comforter or duvet and two standard pillow shams (twin and twin XL include one pillow sham). All Ink & Rags bedding is handmade-to-order. 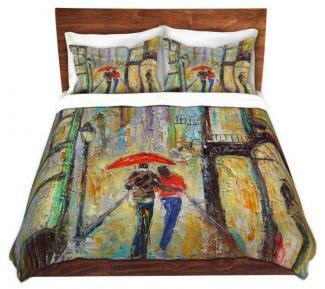 Artist designers create designs for duvet covers and comforters. All of the company's comforters are lightweight. Designs include boho, butterflies, dragonfly and others. You can use a heavy insert for the duvet covers if you prefer a heavier weight. 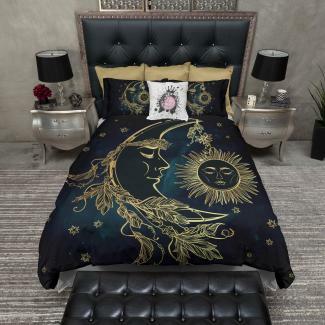 Be sure to check the overstock and sale section for more whimsical and unique bedding designs. Sizes: Twin, twinXL, full/queen and king are available in each bedding set. (The website states that the standard king size will also fit a Cal king bed if you have a 104"x88" duvet insert.) Baby and toddler bedding are also available in each set and include one pattern on each side of the pillowcases. 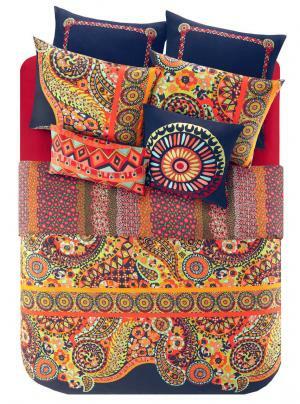 Starter set: Included in this set is one Duvet cover or comforter and two standard pillowcases (one for twin). Standard set: This set includes one duvet cover or comforter, two standard pillowcases (one for twin) and one 18"x18" decorative pillow. Deluxe set: In this set, find one duvet cover or comforter, two standard pillowcases (one for twin), one 18"x18" decorative pillow and one Minky fleece throw. Hollywood Boho: This eccentric yet glamorous bedding is a mix of paisleys, stripes and florals in blue, pink, yellow, orange and purple. Josie Decoiserie Comforter Mini Set: Decoiserie presents bold florals on one side and Art Deco shapes on the other side of the duvet in complementary colors of blue and orange. DiaNoche Designs features duvet cover and sham sets, but you can also purchase these individually. There are over 30 designs, such as animals, boho chic, abstract, fantasy, monochromatic, wedding and more. The designs are created using various artists' original works. Each piece is made-to-order. In addition to the duvet covers and shams, DiaNoche Designs offers Sherpa pile blankets and fleece throw blankets. Hipster Bedding is a global online company that offers bedding sets. You will find over 3000 printed design styles for adults, girls, boys and general bedding sets that are made from cotton. Some prints include Indian Gothic, Cat and Dog, Punk Style Vintage 3D Skull and Chinese-inspired Ink Wash. Shipping: All orders feature free shipping to anywhere in the world. Your order is delivered directly from the company's factory. Explore online and local retailers for your ideal bedding look. 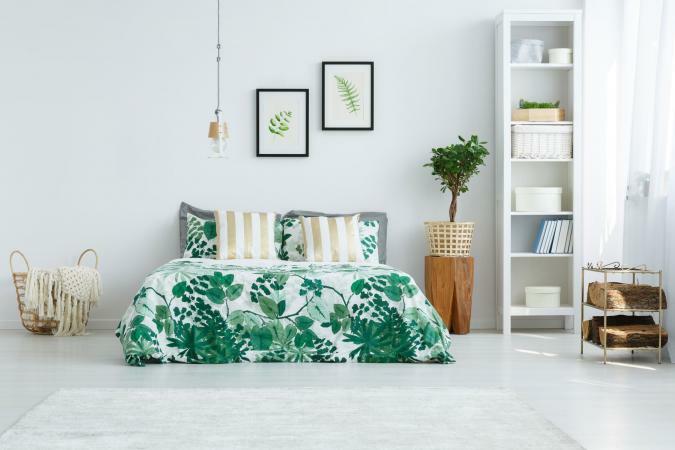 Once you know where to buy unique bedding, you can create an exciting new design for your bedroom.